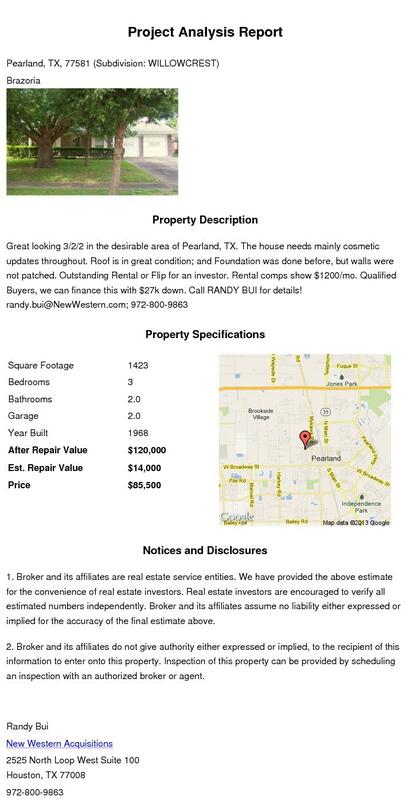 American Wholesale Property: Great Investment Opportunity in Pearland!! Great Investment Opportunity in Pearland!! Great looking 3/2/2 in the desirable area of Pearland, TX. The house needs mainly cosmetic updates throughout. Roof is in great condition; and Foundation was done before, but walls were not patched. Outstanding Rental or Flip for an investor. Rental comps show $1200/mo. 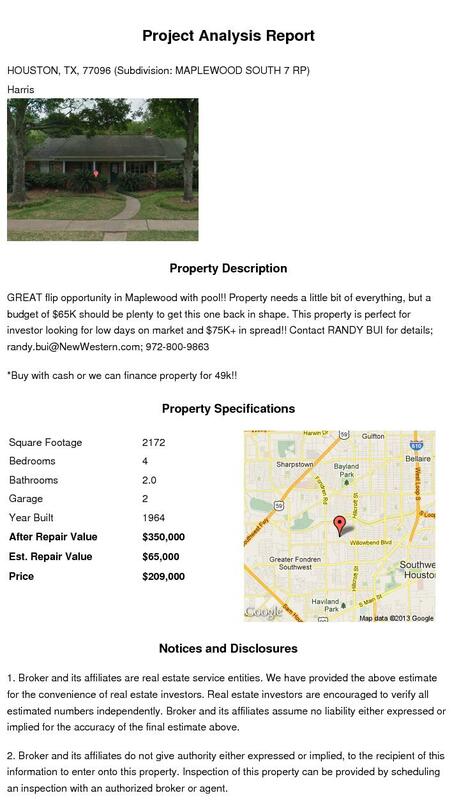 Qualified Buyers, we can finance this with $27k down.